Your Warranty Stays in Effect When We Perform Preventative Maintenance Something really cool happened in 1975 … and, no, it wasn't the beginning of the disco era. Congress passed the Magnuson-Moss Act. You DON’T have to take your vehicle back to your dealer to keep your vehicle manufacturer’s warranty in effect. 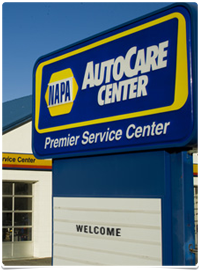 KAMS Auto Service Center uses the proper replacement parts and procedures to keep that warranty valid. Let Us Help You Take Care of Your Car Are there bad cars or just badly maintained cars? It's a fact that preventive maintenance is the basic ingredient to a long-lived, reliable vehicle. But how does one define "maintenance"? The dime-store answer is: Read your owner's manual and define your driving habits. The engine is the most expensive part of any vehicle, so preserving it is fundamental. And the most important part of preserving the engine is changing oil, which must be performed on schedule, using high-quality oil of the proper viscosity. That part is easy. The more complicated part is determining what constitutes "on schedule," and selecting the right oil. Although it might not be as simple as it sounds, begin by reviewing your owner's manual. Today's terminology can be complex, but it is essential to understand which maintenance schedule-most manuals include two schedules-is right for your vehicle and your driving habits. To avoid engine-killing sludge buildup, you must pick the right oil-change schedule, either normal or severe. This will involve an honest evaluation of your driving habits. Highway driving is easy on cars. Short trips and traffic are extremely hard on cars. Whichever you do more often determines how many miles or months you can go between changes. It's your decision, but be realistic. If there's doubt, use the severe service schedule. If your manual reads like most, you'll see that many manufacturers are recommending oil change intervals that are higher than they were in the past. 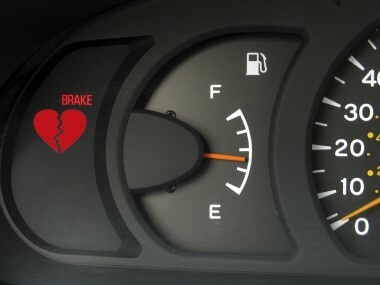 Some recommend oil changes every 5,000, 7,500, or even every 10,000 miles. Sticking to these schedules is great-if your oil is up to the task. Fortunately, motor oil manufacturers are responding to this trend. Exxon Mobil recently became the first major oil company to introduce a "high endurance" line of oils. The line includes three products-Mobil Clean 5000, Mobil Clean 7500 and Mobil 1 Extended Performance-which provide guaranteed protection for 5,000, 7,500, and 15,000 miles, respectively. If you're going to stick to the schedules your manufacturer recommends, make sure your oil is up to the task. Even if you decide to go less than 5,000 miles between changes, make sure you use high quality oils like the Mobil offerings. Second to changing engine oil is properly maintaining your cooling system. To be safe, check the coolant, and all vehicle fluids, according to the shortest time or distance recommended, not the longest. Coolant, even extended-life variants, should be tested for condition every six months and coolant levels should be checked monthly. Proper testing may prompt you to flush and refill long before the extended-life interval has been achieved. A word of warning: never allow coolant to stay in the radiator until it changes color, because that change indicates rust, and rust is essentially dissolved engine.